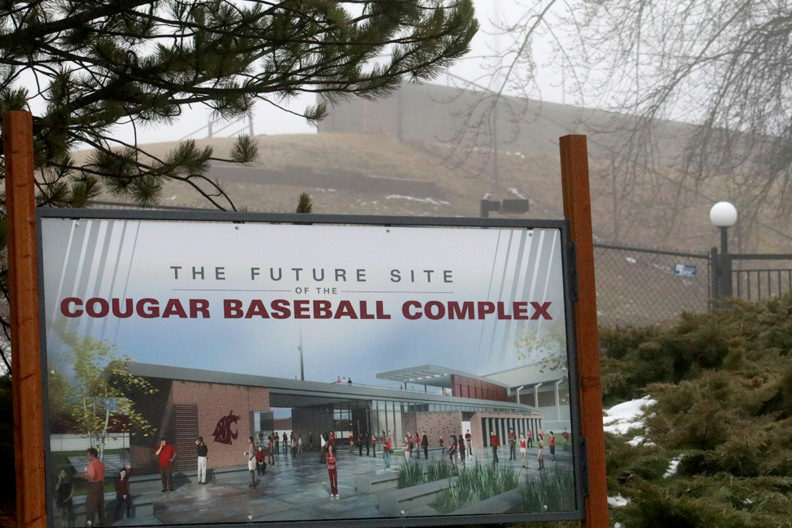 The new clubhouse will provide a home for the Cougar baseball program in the same footprint as the current Bailey‑Brayton Field on the Pullman campus. SEATAC, Wash. – The Washington State University Board of Regents approved several items including the design and construction of a new baseball clubhouse and a contract to support marketing of the Cosmic Crisp® apple today during their annual retreat at SeaTac, Wash. The new baseball clubhouse will provide a home for the Cougar baseball program in the same footprint as the current Bailey‑Brayton Field. The improvements will be paid for with private donations and is designed to accommodate the needs of the baseball program and enhance the game day experience for players, coaches and fans. It will include a locker room, pitching lab, academic area, team meeting rooms, and areas for Cougar equipment and training. The university estimates a total project cost of $10 million. With $4 million in cash already on hand for the project, another $2.5 million in pledged donations must be collected before construction begins. Regents agreed to issue bonds for the remaining $3.5 million needed for the project. The University will use future donations to be collected over the next five years to repay all costs associated with the bonds. Also today, the Regents approved $10.1 million over four years to support a consumer marketing campaign for the WSU apple cultivar, WA 38, or Cosmic Crisp®. Royalty revenue received from licensing WSU’s intellectual property right to the patented apple cultivar, WA 38, and the trademark rights to Cosmic Crisp®, will be used to pay for the campaign. Prior to finalizing the contract, WSU Office of Finance and Administration will review the royalty revenue projections to ensure that they are sufficient to cover the campaign’s cost. The Cosmic Crisp® apple, a cross between Enterprise and Honeycrisp designed specifically for Washington growers, is the result of a 20‑year breeding effort at WSU. Exceptionally sweet, crisp and tart, the apple is slow to brown when cut and keeps its flavor in storage. Current estimates provide that there will be approximately 175,000 40‑pound cases of the apples ready for the marketplace in 2019, rising to approximately 5 million by 2021. Since WSU will receive a fruit royalty if the apples sell for a price in excess of $20 per 40‑pound box wholesale price, a consumer marketing campaign is considered important for generating brand awareness and consumer demand. The Board of Regents also approved a resolution delegating authority to WSU President Kirk Schulz to approve and execute a settlement agreement in the legal proceeding known as Armon, et al. v. WSU. This lawsuit is connected to a potential data breach that occurred following the theft of a Washington State University hard drive in April 2017. The cost of the settlement agreement will be covered by the University’s state and private insurers.